Halloween is already 6 weeks away – have you picked out your costume yet? I always struggle picking out a costume each year. Do I stick with the old classics or do I choose something that’s trendy? 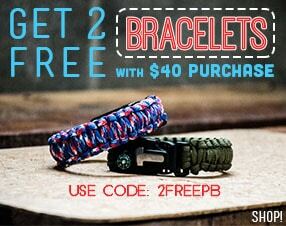 Whatever the case, I love to color-coordinate paracord bracelets or crafts with my costumes. They are a fun and easy way to add a creative touch to a classic Halloween costume. When I think of the classic witch costume, I think of an all-black outfit. However, black can be boring so I like to add touches of color to make the costume stand out. I was inspired by this costume, so the color palette I chose includes the following: Fast, Black, Orange, Canary Yellow. A Solomon V Bar bracelet combining these colors is the perfect addition to this costume! 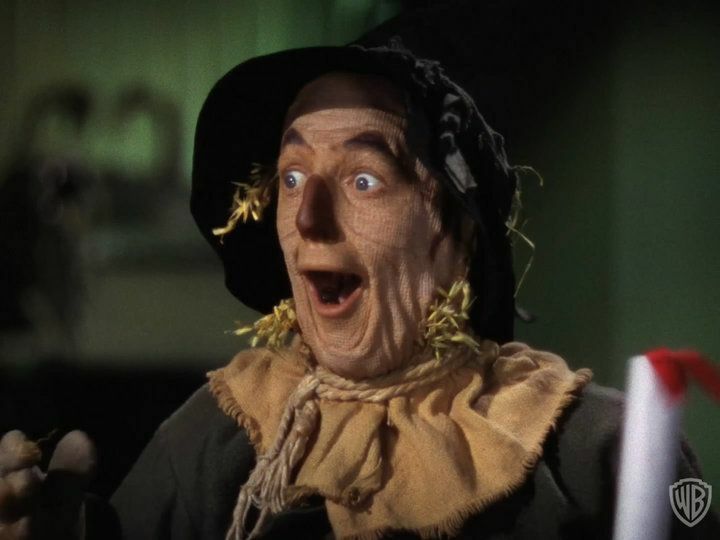 A scarecrow is an easy and fun costume for all ages. There isn’t a lot that goes into the costume and there is lots of flexibility, depending on how creative you want to be. 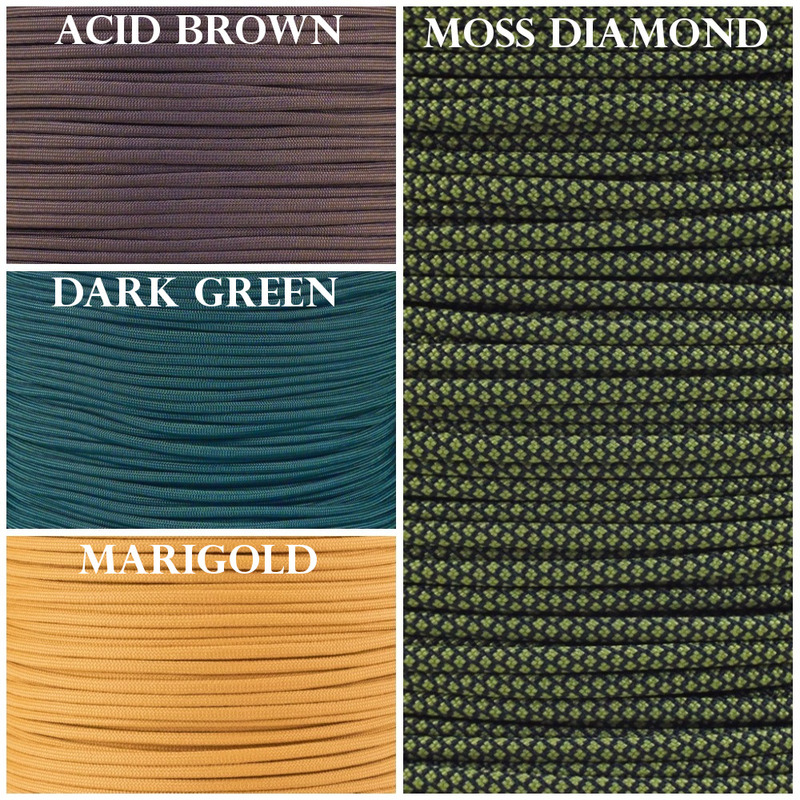 The Scarecrow from Wizard of Oz is a great source of inspiration for this next palette.The colors used in this palette are: Marigold, Dark Green, Acid Brown, and Moss Diamond. For this costume, I'd make Wheat Stalk Keychains or Bracelets. These are very easy to make and would make a creative addition to your costume if you made a bunch of them and hung them all over yourself, just like you would stuff your costume with hay. Skeletons are a timeless classic when it comes to Halloween costumes. However, the color palette of an original skeleton costume can be boring. I saw this adorable photo of a little girl’s Skeleton costume and loved the creative additions of color. Neon colors are a great eye-catching way to add color into your costume without taking too much of a risk. 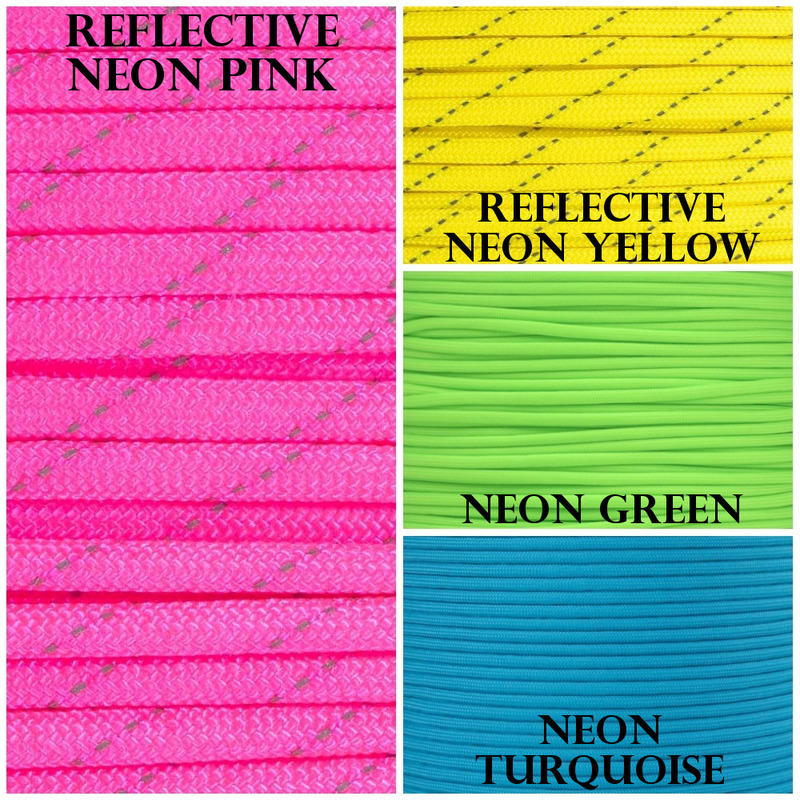 Plus, reflective neon paracord colors can be worn at night while trick or treating, so it’s a win-win! The colors in this palette are: Neon Turquoise, Neon Green, Reflective Neon Yellow, and Reflective Neon Pink. If you’re going to be wearing paracord while trick or treating, I’d make a celtic heart bracelet out of neon reflective cord because the heart is larger when it sits on your wrist. Everyone can rock a pirate costume. Throw on an eye patch, hook, striped shirt, and you’re set! Pirate costumes have such a wide variety of styles, but I like to keep it old school. How cute are dog Halloween Costumes?! Your pooch can never have enough Halloween spirit. 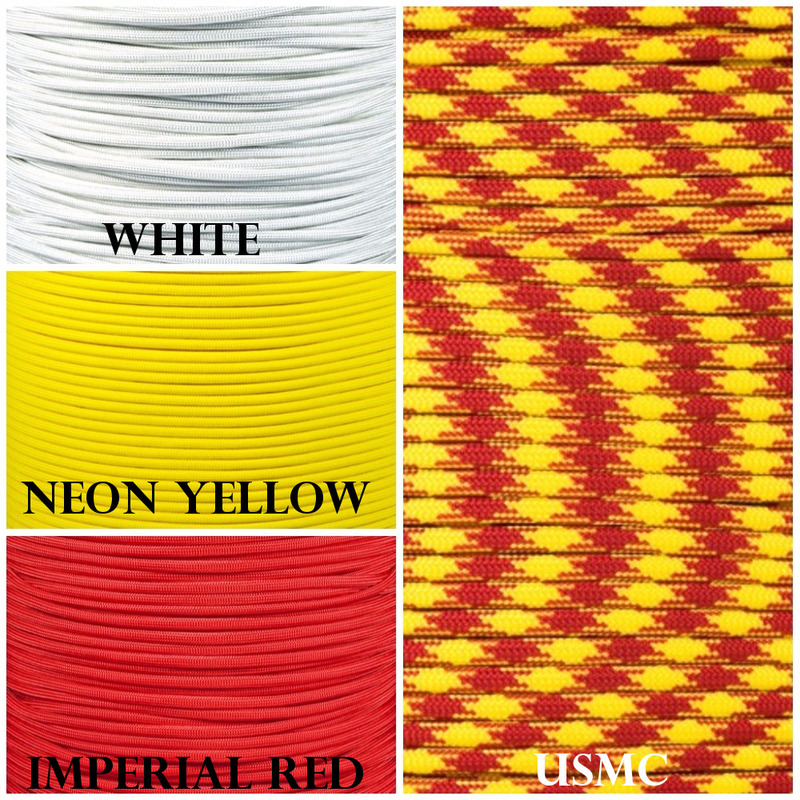 The colors in this palette are: Imperial Red, Neon Yellow, White, and USMC. Show your pooch some love and make them a paracord dog collar to match their Halloween costume! These are super easy to make and can be worn year-round by your furry friend. 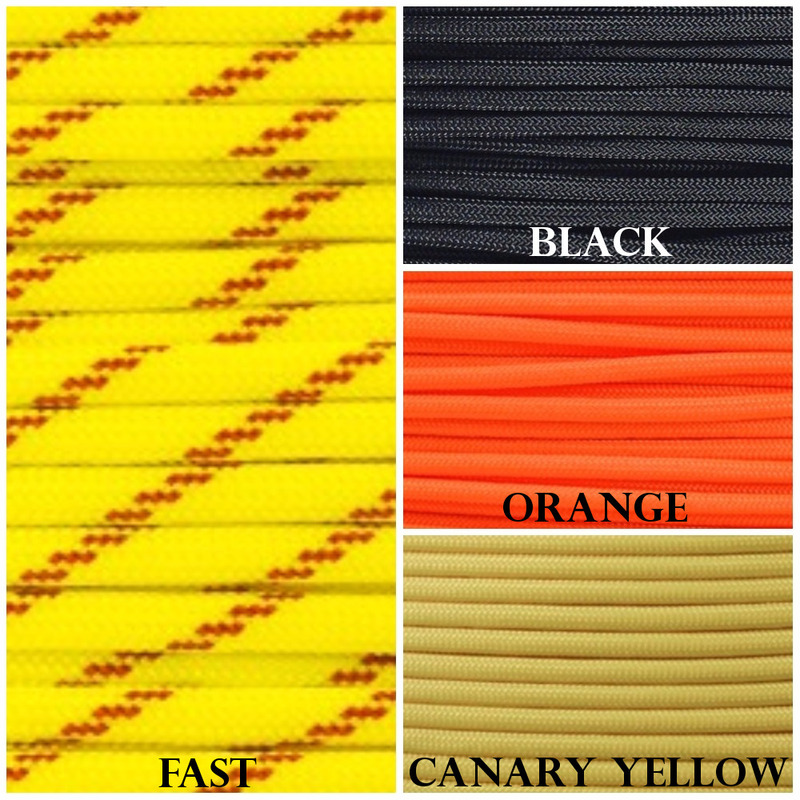 If you want to put together your own Halloween Paracord Color Palette, check out the massive color chart we have on our website. 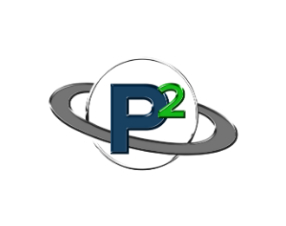 As always, make sure to follow us on Facebook, Twitter, Instagram, Pinterest, Youtube and Google+ for more paracord updates, project ideas, and more! 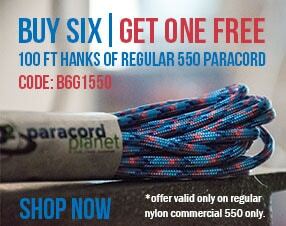 Share your Halloween Paracord creations with us via Facebook Message, and we may feature your creation on our page!